[Event] AlphaBAT First Showcase in Malaysia, 2014 & Audition for New Member. Brace yourselves, Malaysian Alpha(s)! South Korean rookie idol group, AlphaBAT is coming to our shore for two weeks from 23rd April 2014 to 3rd May 2014, brought to you by New Pro Star! The rookie idol group which comprises of 9 members, B:eta, C:ode, D:elta, E:psilon, F;ie, G:amma, H:eta, I:ota & J:eta, will be having their very first showcase in Malaysia on 27th April 2014 at 3 PM at the concourse area of The Summit Subang USJ! That's not the only thing New Pro Star has in store! Hold your breath, Korean Pop lovers especially those who are intend to become a Korean Pop idol! 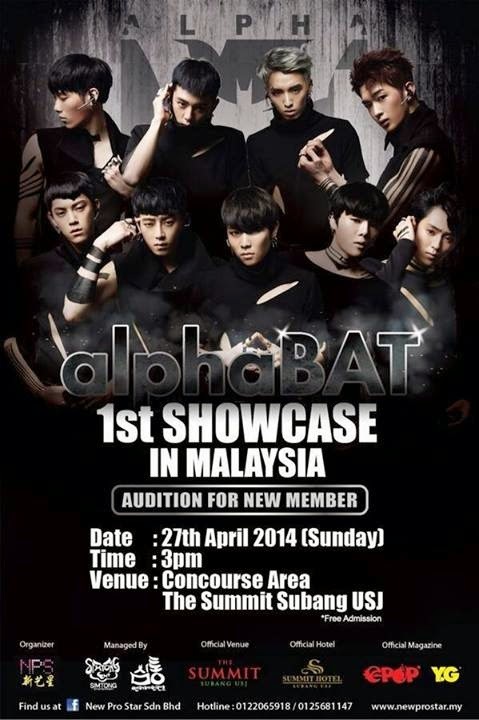 An audition will be held to seek a new member of AlphaBAT from Malaysia! The main reasons on why they want to recruit a new member from Malaysia are because of the huge amount of avid supporters of Korean Pop as well as various talents of Malaysians who are also able to speak multi-language. If you are interested and you think you have what it takes, send in a video of not more than 1 minute and 30 secs of a performance to npspopstar@gmail.com. 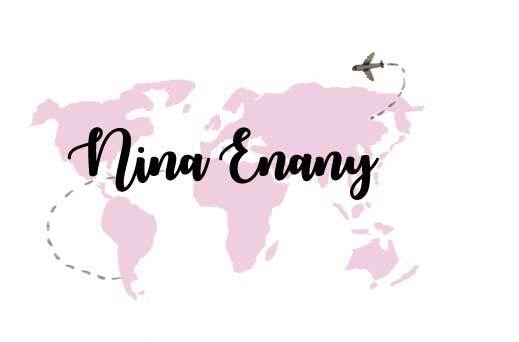 Don't forget to include your name, state and contact details. Deadline is on Friday, 11th April 2014 at 5 PM. The Korean artiste management will select a few from the audition videos received. Successful candidates will be notified through phone and confirmed by email to proceed to the next stage of the audition which will be held on Sunday, 27th April 2014 at 3 PM at the concourse area of The Summit Subang USJ.